AFP Chicago is grateful to Judy for her incredible dedication, service, and leadership and we are honored to present her with the 2018 President's Award. Judy will receive the President's Award during our December 7th Annual Meeting. 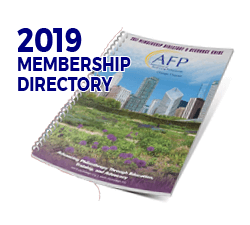 We are working on compiling our 2019 Membership Directory, which will include all current members as of January 31, 2019. To confirm your membership status or update contact information, please visit the AFP International website or contact AFP International at 800-666-3863. 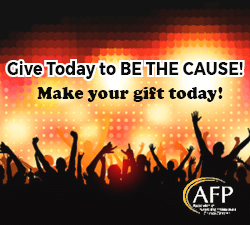 We hope you've had a chance to check out the new AFP website: afpglobal.org. Along with the new domain name, HQ email addresses have also changed. To now reach staff, just use "[email protected]". It has been almost 10 years since AFP launched it's last revamped website - afpnet.org. 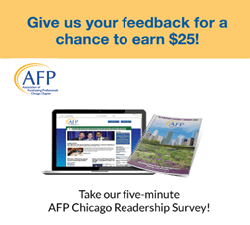 The new afpglobal.org is a complete rebuild of AFP's flagship online experience. It provides members (and potential members) a rich, enhanced online experience, one fully integrated with the member database and providing more intuitive surfing and searching. Be sure to read the FAQ page to get an overview of the site and all the improvements made! at River Roast. 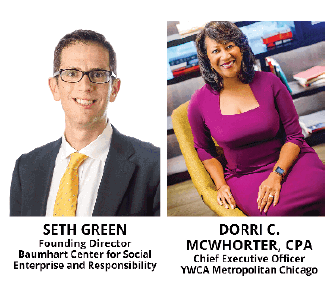 Click here to view the 2019 AFP Chicago Slate. We will also celebrate the graduation of our 2018 Fellows and present our 2018 President's Award. 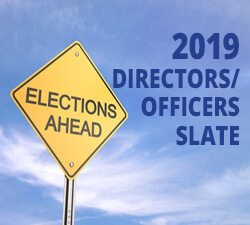 The morning concludes with the election of the 2019 Officers and Directors. You have to be there to network with the best in Chicagoland fundraising! 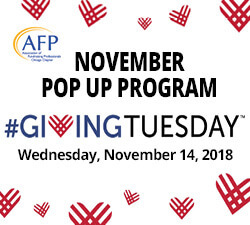 Did you know that hundreds of fundraising professionals received scholarships to attend international conferences and other fantastic training opportunities this past year- all thanks to BE the CAUSE, a joint campaign of the AFP Foundation for Philanthropy and AFP chapters across the U.S.? 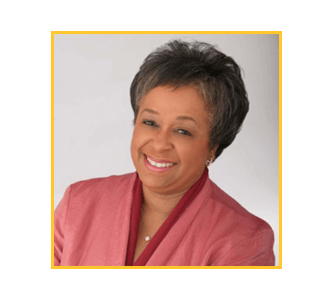 Nonprofit Management Essentials is Live! Have you recently received an award, written an article, or achieved something outstanding? Please let us know - so that we can feature YOU in our next newsletter! Contact Pam Williams with your news.